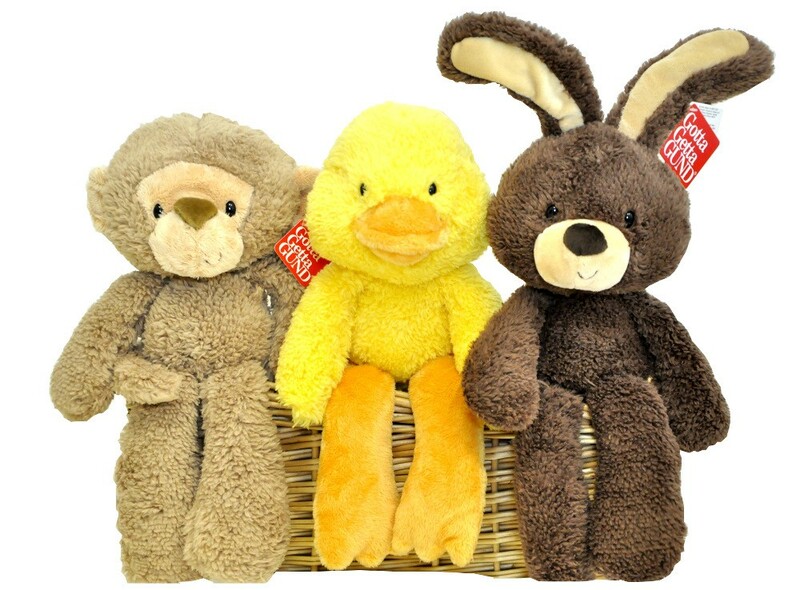 Fuzzy Monkey - one of the most huggable monkeys ever, made of soft brown fabric with silly ears and funny tail. 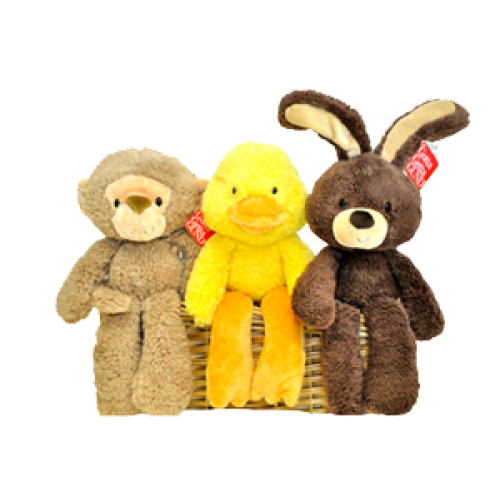 Fuzzy Duck - one of the most huggable ducks ever, extra soft and extra floppy, with an especially-cute beak, simply huggalicious. 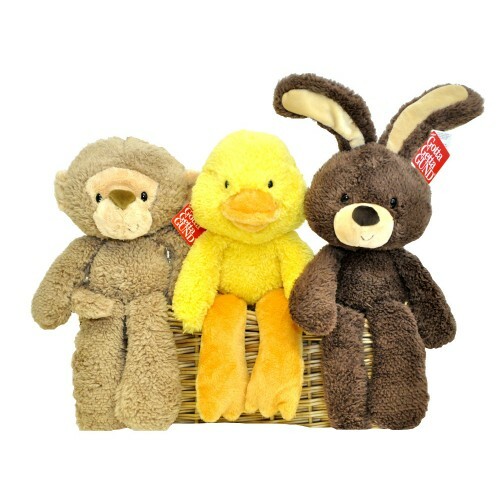 From the Gund Fuzzy Pals collection.